Digital technology has its place, but true audiophiles know that for the truest, purest sound, nothing beats analog. Vacuum tubes faithfully bring warmth and harmonic tonality like nothing else can. Hearing is believing. Each unit is hand built and “Made in the USA”. The Leto preamp incorporates "true floating balanced” inputs and outputs because of their foolproof ability to isolate one piece of gear from the next. That means lower noise for a strong, clean and quiet signal. 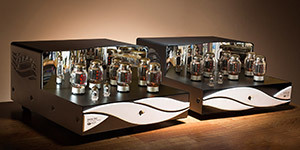 The Leto will compliment most systems: tube, solid state or digital. 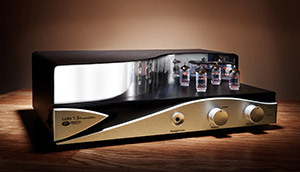 It will work with single-ended and balanced input source or power amplifier combinations. With the Leto in your system, it will allow the sonic detail to come through so your focus is on the music. The challenge designing the Eros 300 was the conflict created when you want a lot of power, low noise and, most importantly, you want it to be musical. Class A has less cross-over distortion and therefore is more musical. The tubes are always on, so you have power when you need it. Class A is fast and responsive. There is no lag, providing your music more punch, transient response, better dynamic range and transparency. The Eros 300 provides 150 Watts of Class A power in the most musical design as it retains all the dynamics from your sound source. 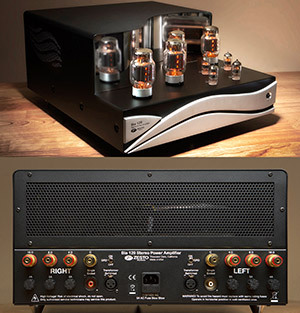 Want an amp that allows you to hear music the way you know it should sound? Want it to be easy to use, reliable and with plenty of power to drive the speakers? You want power without compromising the music? The Bia's Push-Pull circuit design delivers the most precise, enjoyable and faithful reproduction possible. It incorporates a custom Toroid power transformer and a choke-based, dual-mono power supply to deliver all the “slam” you can handle. With Auto Bias, you need no adjustments. It’s safe, consistent and the settings are always perfect so you can enjoy your music. This newest product from Zesto Audio is aptly named as it is designed to work with up to 4 different tonearms or turntables. Zesto wanted to design a phonostage that was easy to use, while providing the necessary inputs to accommodate multiple tonearms and be able to save the settings when you switch between channels. The Andros Tessera is built with a passion for analog, designed with 100% tube circuitry, and no solid state devices anywhere in the signal path, and all the switching is done with reed relays. 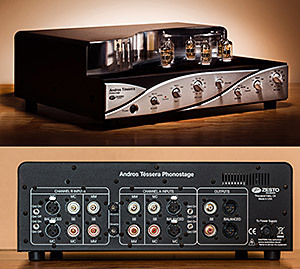 This phonostage has a new circuit design that is partnered with significantly upgraded larger MC step-up transformers to capture the most delicate signals in the grooves.